Beneath some palpable yet halting movements toward recovery in 2017 (like rig hires), there’s 2016’s rigorous cost-cutting by, among others, Statoil and its subsea supply chain. Lower oilfield cost estimates have been proclaimed (and engineered), and this has fed assertions that pricy technology and extra engineering drove costs until operators backed out of “decision gate”. Andreassen says he doesn’t blame the technology companies. “It was the (oil) demand destruction when oil prices were high” that gutted the oil price and stacked rigs. After seeing companies operate “in debt hell” with inflation pinching, Andreassen now sees “the comeback from hell”. “If you’ve survived this far, then you’ll come back next year.” He then offered a long-term, ballpark “balance price” for oil at about $60. Near Oslo, a handful of offshore startups entered the fray just as the still-painful downturn was at its gloomiest. Part of an incubating program called Techmakers, these startups are being carefully watched by operators Statoil and Lundin as well as supplier-contractors Aker, Kongsberg, TechnipFMC and Aramco Energy Ventures. Founded in 2016, NEO Subsea offers optical photo equipment for AUVs and ROVs, including high-resolution camera stills and a long-range, laser-guided 3D camera. Founder Erlend Leirset told Norwegian publication enerWE, “It’s an important supplement to sonar systems by giving better resolution which in turn permits higher underwater speeds. Oliasoft started up in 2015 by building apps for drilling engineers. Funcom founder Andre Backen is at Oliasoft’s head, and he seems to be on to one of the stronger but paradoxical trends in the offshore business off Norway: a record number of wells were drilled in 2016, according to the government’s oilfield investment entity, Petoro, which acts a field partner with bottomless pockets. Nearly all were infield drilling (production wells). New rig entity Borr Drilling — formed by Tor Olav Troim, a former business associate of ship and rig mogul, billionaire John Fredriksen — is extra bullish on Onshore. Borr will pay $1.35 billion to buy Transocean’s 15 jack-up rigs, including associated debt, five newbuilds and their drilling order book. The new company will own 17 rigs. 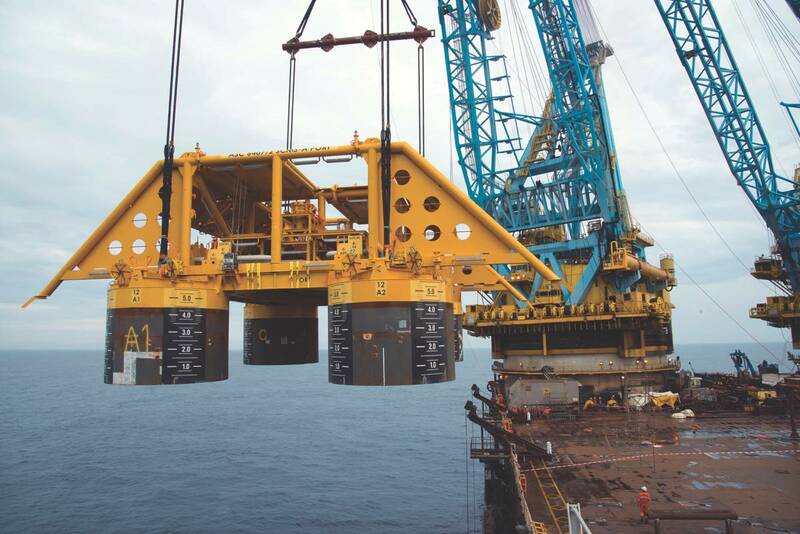 Earlier in 2016, Borr agreed to buy two Hercules Offshore jack-ups. The Petoro document that confirms there’s been lots of drilling off Norway lately also adds that much of it has been and will be from oil platforms. Fixed installations are fine for newbie Well Genetics’ DNA-based tracer technology to help oil companies better track reservoirs for increased oil recovery and lower costs. Many oil companies have already reportedly signed with Well Genetics. Many are also cheering the use Big Data monitoring to save cash. After so much automation and “smart fields” digitization, conditions are right for condition-based riser monitoring: enter Vinterfjord, the start-up baby an industry veteran. Riser installations and maintenance are set to continue apace in Norway, with pipelines — what risers connect to — the only type of investment that did not dip in 2017 over the previous year. Overall, the industry surveys of Statistics Norway put oilfield investments for 2017 at 149.5 billion kroner, 13 percent less than in 2016 on cancelled exploration wells but less a dip than expected. The numbers are seldom weighted against the boomtime 70 per cent hike in investments off Norway between 2010 to 2014. Still, spending fell off 27 percent between 2014 and 2016 and we’re on course for 13 percent less in 2017. The big dip between 2015 and now was mostly operator cost-cutting. Today, Statoil’s traveling presenters report the average breakeven oil price for its projects has dropped from $70 to below $30, helped by the roughly $20 oil-price breakeven made possible by economies of scale at the giant Johan Sverdrup field, where the first subsea infrastructure, a water-injection template, has just been installed, the first of many. Supplier fortunes are expected to rise in capital-intensive Norway on coming investments in the arctic floating producer, Johan Castberg; the heavily subsea Snorre Expansion project; another gas train at the arctic Snøhvit field and the Troll Phase 3, Part 1 of subsea frames and pipelines. To help an operator like Statoil gain full oversight of all those projects, new outfit Avito Loops has an integrated cloud solution that lays it all out in plain, detailed view: projects, portfolios, campaigns, business. Avito shows “your current state” and “your desired state” … A bit like Google Maps, it says, by showing where you are and where you need to go. 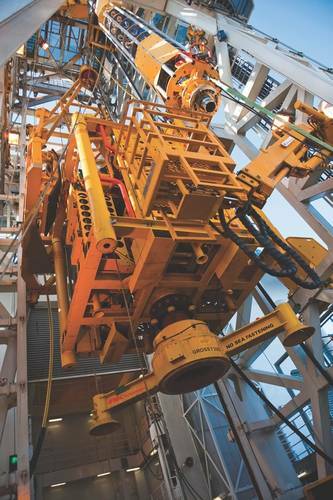 For aging installations in mature areas, Western Norway newbie, Connector Subsea Solutions, has developed a technique to remotely do pipe repairs in deep water, and contracts with BP and Shell are already bringing in some earnings. While clamping a repair on a horizontal pipe is hard enough, Connector, or CSS, has managed to get its tool to remove the coatings of and then repair a vertical pipe, or riser. “We’re bullish on offshore,” affirms Rystad’s Nikolaison, emphasizing that, “That’s different than “Goldman. Deepwater, he notes, will see the benefits of the supply chain’s efficiency work to date. There’ll be a rising number of investment decisions by year-end 2017 and rig rates will rise. To be sure, constrained budgets have caused some unusual cost-cutting — “We’re cannibalizing pressure pumping equipment,” for one — but “$80 to $90” oil is in sight. Norway will do fine at $60 oil, he says, as most four-slot subsea fields are near infrastructure: oil at $50 to $60 works fine for subsea tiebacks. 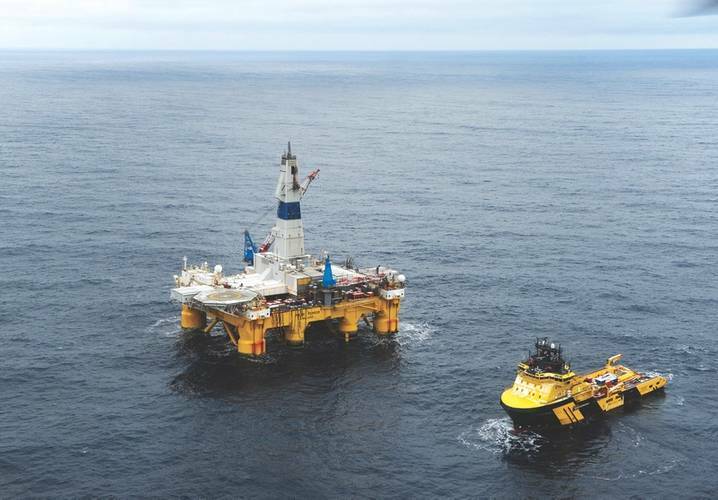 In the remoter Barents Sea, where costs are affected by environmental concerns, the Norwegian outifts of foreign-owned oil companies are also making their mark. Austria’s OMV is developing the Wisting project as part of its 33 license portfolio. “Hopefully we’ll grow even further,” says Norway boss, Lars Drag. 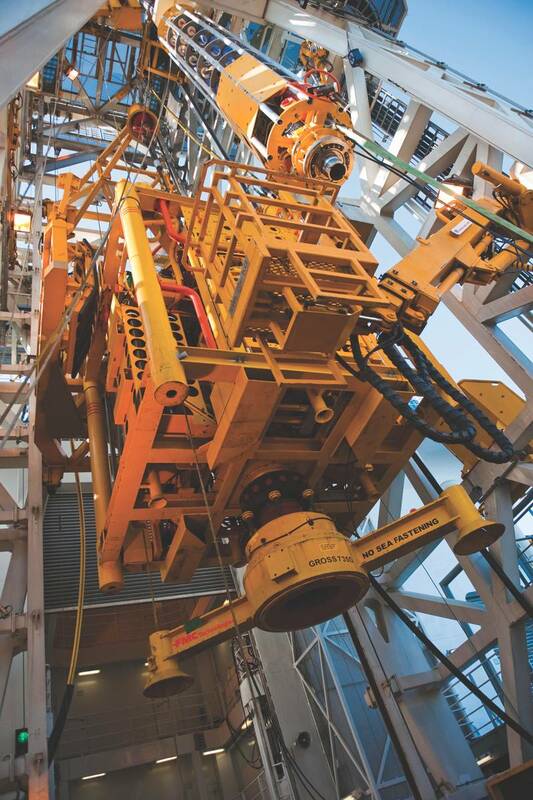 He has his hands full with Wisting concept studies, in which a subsea tieback with manifold, water and injection and floating storage for production from 18 wells ought to produce the targeted 110,000 barrels per day. By April, when these words appear, that study will be well underway ahead of concept selection in 2018 and an investment decision in 2020. Front-end engineering and design work will be awarded in 2019. Not far away, at the Ghota discovery, is the offshore acreage of Lundin Petroleum, partner in the giant Sverdrup field it’s geologists discovered. Lundin is now trying to develop Ghota’s 150 MM barrels of oil equivalent, likely with two structures or a subsea spread. Lundin engineers might be looking at a novel, “all-electric” subsea concept at Gotha or Alta. “We haven’t seen any feasibility issues. It’s feasible,” says Lundin field development boss, Erik Sverre Jenssen. To help those ambitions, Norway’s March offshore acreage round offered energy companies a combined 195 blocks in the Norwegian and Barents Seas.